Salton Sea is home to a lot of unique things such as Salvation Mountain and the mud pots. 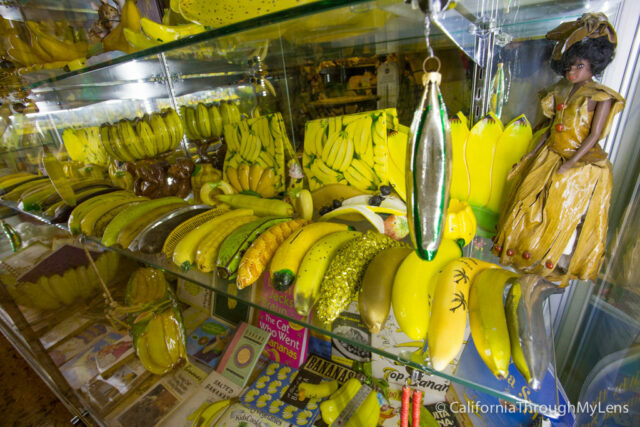 What you may not know though is that it also houses the famous International Banana Museum as well. 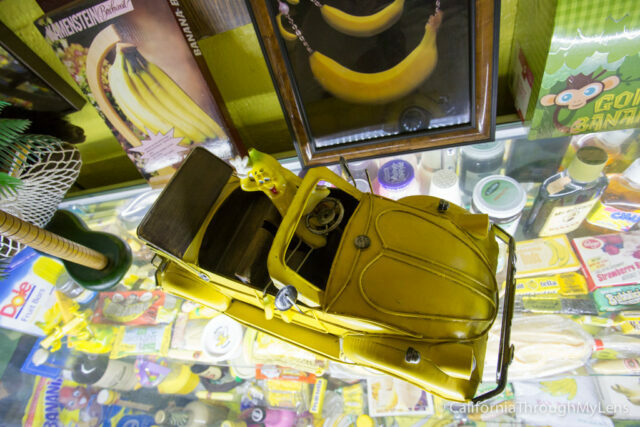 I have driven by it many time but it is always closed when I go, just my luck though, this last time I got to partake in the awesomeness that is the International Banana Museum. 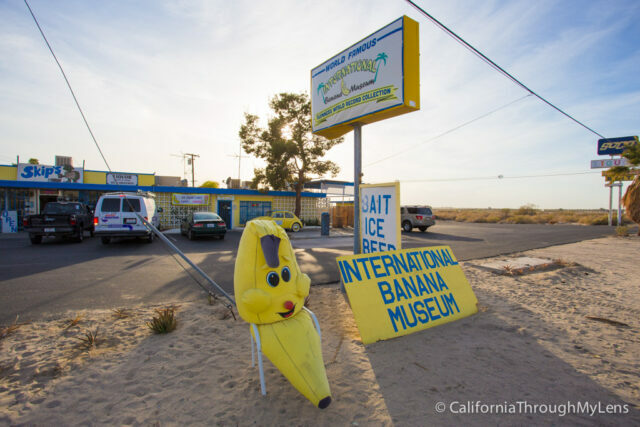 In the North Beach part of Salton Sea, in the city of Mecca, sits the small one room spot known as the International Banana Museum. From the outside it shares a building with a convenience store for the local campground but you can’t miss the sign and the banana sitting in the chair. 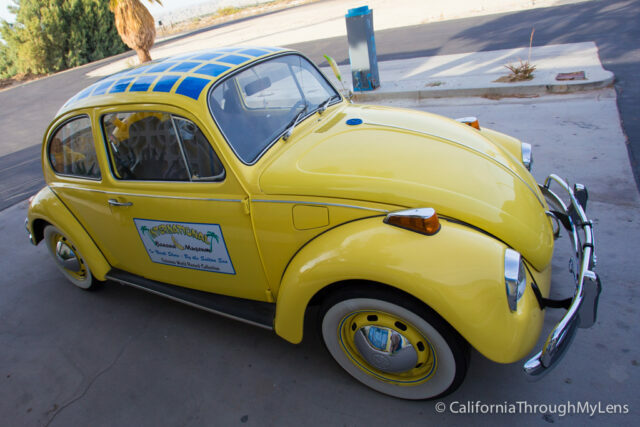 Also, they have a Banana Mobile outside the store as well which is an old yellow VW Bug that beckons you in. This is just the start of the awesomeness that is the museum. 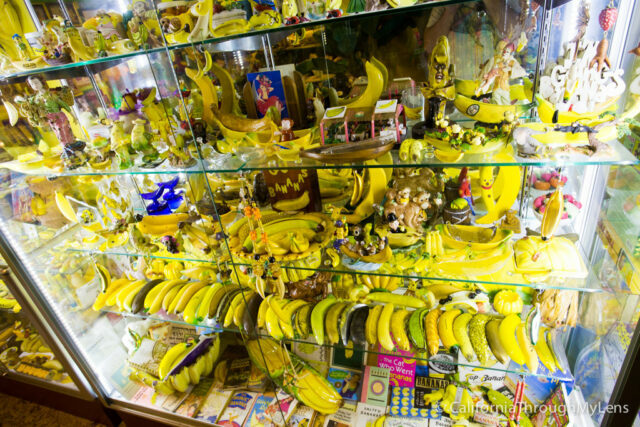 From the moment you enter these hallowed walls every one of your senses will be accosted by bananas and the color yellow. As you know, strange places like this are my favorite to visit so I was giddy with anticipation as I opened the door. 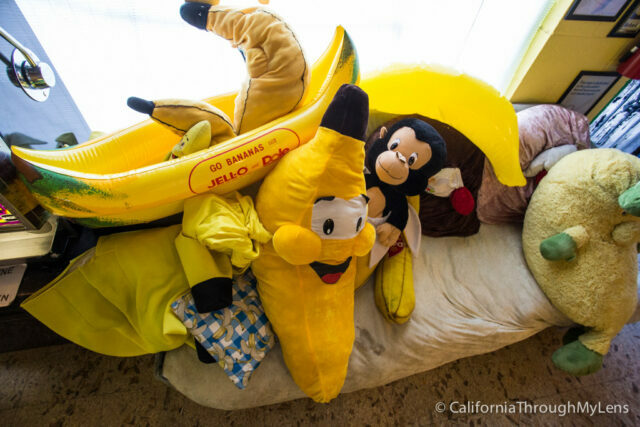 Right when I walked in I was encouraged to sit on the couch of banana stuffed animals and even to put on a yellow wig and hat, completing my outfit for a banana themed photo. I obliged then walked to the counter to put in my order of a chocolate banana milkshake for $3.50 to be made while I walked through the mini museum. 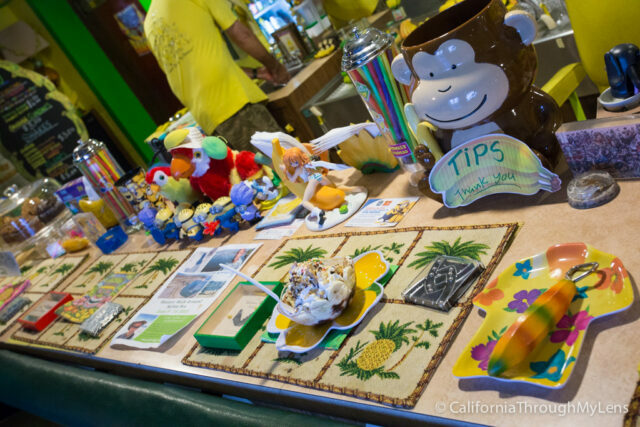 It is hard to pick anything to focus on in this banana paradise, but here are some of the fun things that I saw. 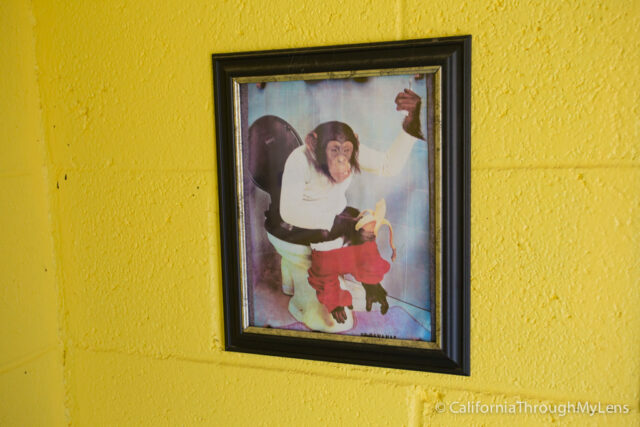 I requested access to the bathroom while I was there which was yellow as you would anticipate and had this fantastic photo of a monkey that greeted me. When I walked back into the museum my shake was ready and I sat down to indulge in it. Let me just say it was fantastic, chocolate and banana is always good but the owner really knows how to make it. 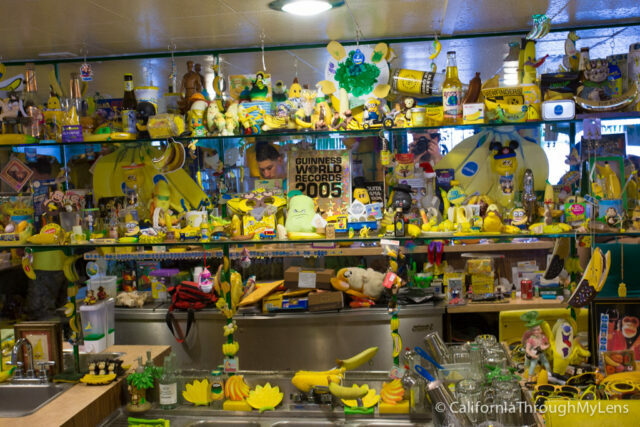 I asked what the first element was to start his love for banana memorabilia but he did not know. 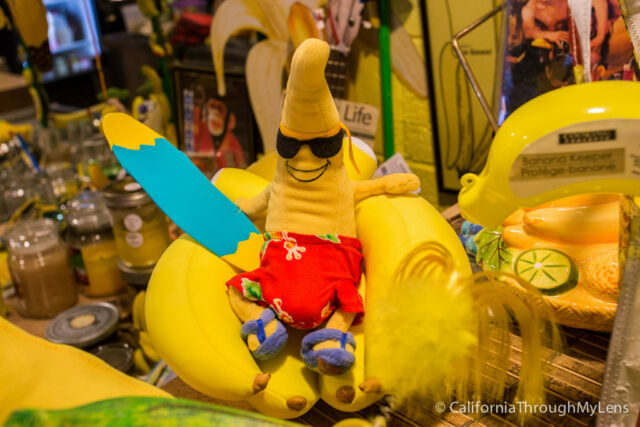 He did show me one of his favorites though, which was a surfing banana. 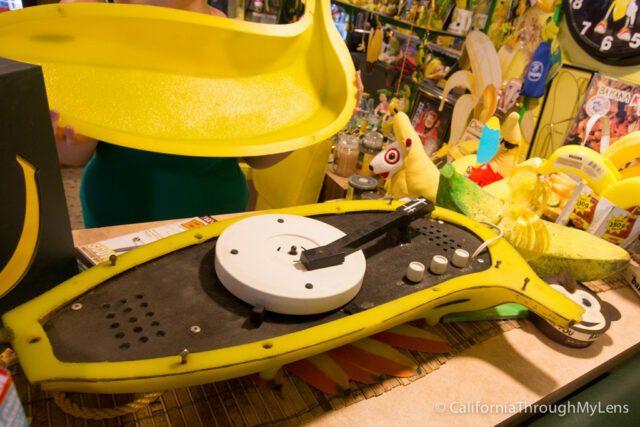 I think my favorite was probably the banana turntable, which was completely unexpected and awesome. 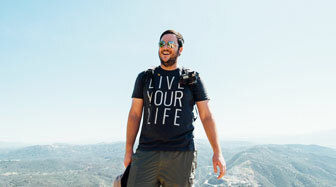 After 15 minutes of exploring I split (see what I did there) and headed on to my next stop. 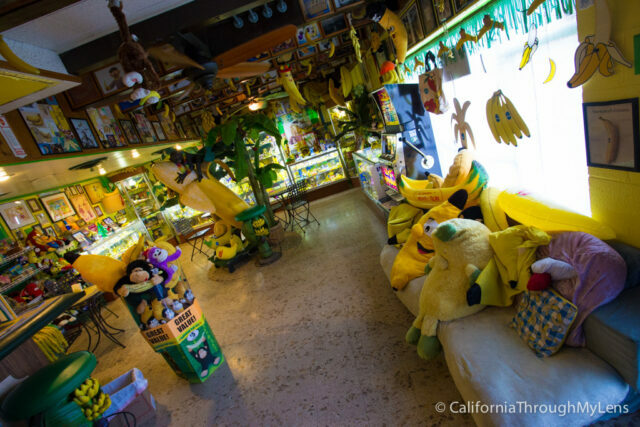 Needless to say my time at the banana museum was a memorable one and if you are exploring the area on a day when it is open then make sure to pop in for a milkshake. 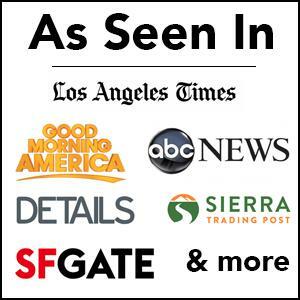 If you have been or if you know of another awesome museum you recommend be sure to let me know in the comments.